Jedi Religion is a very non-dogmatic, non-organized religion. As such, there are few, if any, rules that its believers are expected to follow. However, this also allows for wisdom to be put forth by members of the community for believers to study, accept, or reject as they see fit. This particular list comes from Jedi Kidoshin of Jedisanctuary.org (now defunct) and is reproduced with permission. Commentary has been edited from Kidoshin's works as well. Jedi believe in an invisible universal energy called ‘the Force.’ It is also known as the 'Living Force', the 'good side', or the 'light side'. The Force is a living spiritual presence that surrounds us, penetrates us, and binds all the matter in the universe together. The Force is the soul of all living things; it exists everywhere. Jedi believe that the Force allows people to have free will and choice, but that destiny also plays a part in their lives. Jedi believe that the dark side exists as well. However, they refuse to dwell on it, follow it, or use it in any way. The dark side is a negative energy, also known as the ‘negative power’ or ‘dark energy’. It is considered to be evil, negative, the opposite of good, and is never to be followed or used by the Jedi. Jedi serve the Living Force. Jedi serve the Living Force and never serve the dark side, in any way, shape, or form. Jedi are serious about their service to the Force and are not thrill seekers or adventure seekers. They are serious about following the Jedi teachings in their own lives. This is because the teachings lead to personal growth and help them to be conscious of their connection to the Living Force, which is within. Jedi live in the present moment. Jedi live in the here and now, and don't stress about the future or the past. This isn't as easy as it might seem because the mind always rushes to the future or the past. Contact with the Living Force always occurs in the present moment. The mind is a tool. Jedi focus on stopping the incessant thinking and mental chatter that comes from the mind in order to be conscious of the present moment and to live in the present moment. The goal is to control the mind, and not let the mind control us. Jedi can feel the Force. Jedi are Force-sensitive people and are experts at feeling energy. Our senses and our scattered minds can block us from feeling the Force, but it's always there. Jedi are equally sensitive to dark or negative energy and know how to avoid it and to protect themselves from it. Jedi trust their feelings or intuitions. Jedi are a 'feeling people' and believe in using and trusting their feelings and intuition. Jedi are intuitive and are in touch with the core of their being. Jedi practice meditation to achieve a calm mind. Meditation is clearly a part of the Jedi lifestyle. Jedi believe that a calm mind can be achieved through meditation and contemplation. Jedi need to meditate often in order to clear their minds. Our minds, like sponges, get contaminated from the world, and need to be cleaned out daily. We even absorb things from those who are around us as well as our environments, the food we eat, etc. All of this makes it important to keep a calm, focused, clear mind and to meditate daily. Jedi practice awareness and are mindful of their thoughts. Jedi believe in practicing awareness and are mindful of their thoughts. Jedi keep their thoughts positive. A positive mental attitude is healthy for both the mind and body. Not every thought that 'pops' into our head is actually ours since thoughts can originate from many sources across the Universe, and not just from our physical brain. We have to be able to discern the thoughts and remove the bad or negative, fear-based ones. Even the food we eat and things we drink can influence our thoughts. So, we must always be mindful of our thoughts. Jedi choose to act with patience, and not to react with anger. Jedi protect and defend the helpless. Jedi try to protect others if possible. Jedi are peaceful warriors. Jedi are also aware that being prepared and training gives them the advantage if they do have to protect themselves and others. For this reason, most Jedi know at least one form of martial arts or self-defense. Jedi avoid acting on dark side emotions like fear, anger, aggression, and hate. We can't control which emotions we will feel, but we can always choose to control our actions. We might feel anger from time to time, but we don't have to act on that feeling of anger or rage. Jedi stay physically fit for many reasons. Jedi stay physically fit in order to accomplish their mission in life. Fitness is a part of Jedi philosophy, but the level of fitness depends on the individual. Fitness effects your mental health and overall well-being. Lightsaber dueling is the Jedi's sport of choice. Jedi duel with lightsaber replicas to practice living in the present moment. It’s hard to think about the past or the future if you are dueling with a lightsaber! Lightsaber practice actually has a multitude of benefits. Dueling helps improve a Jedi’s coordination, flexibility, and balance because it becomes an extension of you. It’s a good form of cardiovascular exercise too. Jedi don't believe in coincidences. Jedi trust in the will of the Force and accept the fact that nothing happens by accident. Jedi believe in destiny, and that there is some method to what happens in the Universe. Things happen when they are meant to happen; there is perfection; nothing happens by accident. There is a 'soul-plan' for every person, but it's hard to understand these things from our level. Jedi believe in 'letting go' of their attachments. Jedi work on 'letting go' of their attachments and train themselves on this. The fear of loss of one's attachments leads to the dark side, so a 'letting go' and 'trusting in the will of the Force' attitude needs to be developed gradually to overcome this fear of loss. Everything really belongs to the Force anyway. This is why Jedi need to trust the Force, and not be so attached to people and possessions. Jedi believe in life after death. Jedi believe that the soul survives death. Jedi do not obsessively mourn those who pass. Jedi use the Force for good works. Jedi have special powers and are encouraged to learn the ways of the Force. They then use the Force, but only for good works like training, defense, knowledge, and helping others who are in need. Compassion is central to a Jedi's life. We need to have love and have compassion for ourselves first and foremost. Then we can let that compassion gravitate outwards to the whole creation. Jedi believe in peace and justice. Jedi are the guardians of peace and justice and promoting them is a core principle. Jedi deeply believe in finding peaceful solutions to problems if possible. Jedi are expert negotiators and try to solve problems without fighting. Jedi embrace justice, which means protecting and preserving the basic rights of others. Empathy is important as well because, without it, Jedi can't understand how others feel when they are injured by injustice. Jedi are humble and believe that they can always work on improving themselves. Jedi are against being arrogant and consider arrogance to be a flaw. Jedi embrace humility and do not consider themselves better than others. Jedi don't claim to know it all, and humbly believe in training and in personal growth. Jedi believe in service to others and are selfless. The path of the Jedi teaches the importance of service. There is a lot of joy in serving others, and the Jedi believe in volunteerism and in service. Why? Because that’s the way of the Force; the Force is always giving, without expecting anything back in return. The Jedi are like this, too. Some of the practical benefits of serving others include diminishing egotistical thinking, removing energy blockages, increasing positive energy flow, and re-connecting with other human beings. Jedi are devoted to their mission in life. Jedi are devoted to accomplishing their mission in life. Sometimes this requires great discipline, sacrifice, focus, patience, inner strength, and a strong sense of duty for accomplishing the mission. First, a Jedi must determine what their individual mission will be by deep soul searching and meditation. Each determines and chooses what their mission will be; everyone decides it for themselves. The Jedi then prioritizes or decides how important it is for them to accomplish that mission. 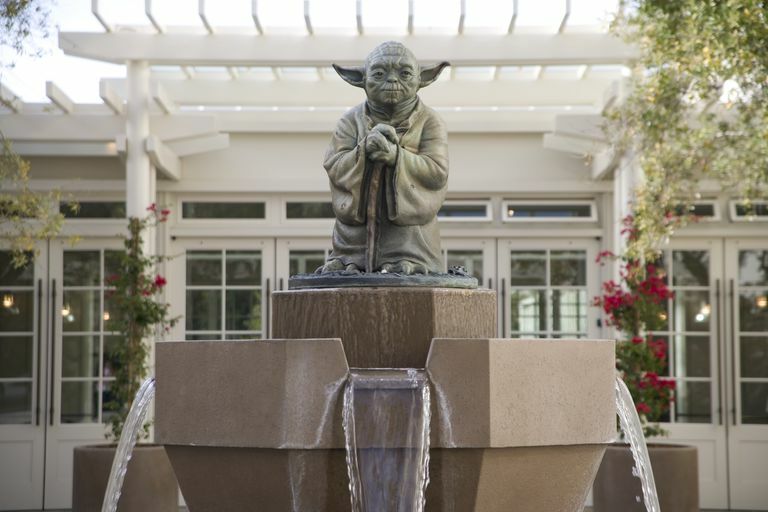 Satisfaction for the Jedi comes from the personal connection to the Living Force; material things, fame, and wealth don't bring lasting peace, happiness, and satisfaction. Only the daily and conscious connection to the Living Force brings lasting peace and happiness. If we lose the awareness of our connection to the Force, then we slowly lose our happiness. Jedi work for mutual advantage or symbiosis. Jedi try to live in harmony with those around them. They believe in mutual trust and respect. Jedi believe in the law of attraction. Jedi believe in the law of attraction which is basically this: whatever you ask for, and firmly believe, you will receive. The Force will bring us whatever we continue to think about, even if we are unconscious of it. This makes it extremely important to always be aware and mindful about what we are thinking about, and what we are asking for. Jedi believe in democracy, but usually don't trust politicians. Jedi firmly believe in democracy, but don’t trust politicians in general. Jedi are cautious of politicians, and of their many promises in order to get elected or re-elected. Jedi believe that they need to bring balance to the Force within. Jedi believe that they need to bring balance to the Force within, and not wait around for a Chosen One to do it. If our minds are negative, then the Force flowing through us will seem negative too; our consciousness will seem negative and dark. If our minds are clear and wholesome, then the Force flowing through us will be clear and natural; we will be full of goodness and light. Jedi are responsible for balancing their own minds, so that their minds are clear, good, positive, wholesome, and stay on the light side. This will serve "to bring balance to the Force" within us so that the light side is dominant. The highest purpose of life is to train on becoming One with the Living Force. This is considered "Immortality." Various religions call it by different names like Enlightenment, Self-Realization, or God-Realization, but it's the same thing. Jedi believe in and are a part of the Jedi Order. The words 'Jedi Order' gives connotations that the Jedi Path was something like a religion in the Star Wars Universe. The pure and true meaning of the word religion comes from the Latin word “religio” which was derived from the Latin word “re-ligare” or “to reconnect.” The purpose of the Jedi teachings is “to reconnect” a Jedi to the Force. Actually, we are always connected to the Force, but we have lost our conscious awareness of this connection. Jedi can see the future through the Force. Through the Force, Jedi can see both near-term and long-term future events. Future seeing abilities are sometimes a result of meditation. Jedi can feel disturbances in the Force. Jedi have a keen sense of humor. Jedi are serious people, but they don't take themselves too seriously. Jedi like to make people smile and laugh, especially in bad situations.